Fine Commercial Furniture and Wood Finishes. Locally designed using regional materials. The first step in eco-friendly design is a quality built product that lasts. For more information on our products please scroll down to learn more about our original concepts with semi-custom and full custom options. Our products bridge the gap between your millwork budget and your FFE needs. Architectural scale furniture and wood finishes that are built to age gracefully under lots of use and abuse. We utilize regional hardwoods, urban timber, reclaimed materials, FSC and low VOC engineered products. Furniture for meetings and common areas. Finished wood siding, ready to install. Ships nationwide. Aymae is from the wine country south of Santiago in the Val de Maipo. Step 1 is design and build a quality product. Step 2 is use the best materials for the aesthetic and function of the piece or installation. We embrace sustainable materials such as domestic hardwoods, urban-timber, FSC, low-voc engineered products, and reclaimed materials whenever possible. Here's a few examples. Whether it is the material itself or the composition of the finish, you have options. 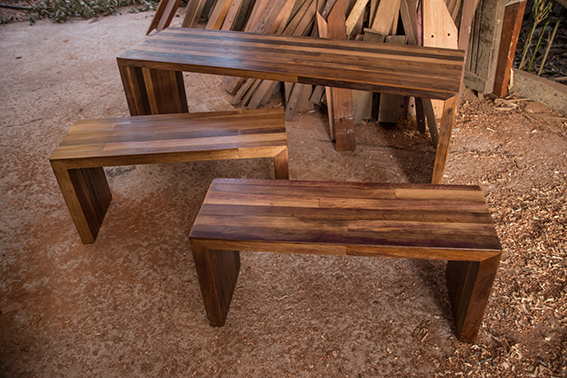 Coming soon, our Hand-hewn siding, Log Tables, Beam Tables, and Scorched Pine. Join our Mailing List to receive a notice when these products become available. For Office, Restaurant and Home Aymae brings a sense of comfort and usability...you want to interact with this furniture. It seems to make one both curious and at ease at the same time. We're taking orders for the next container. Place yours by August 1. 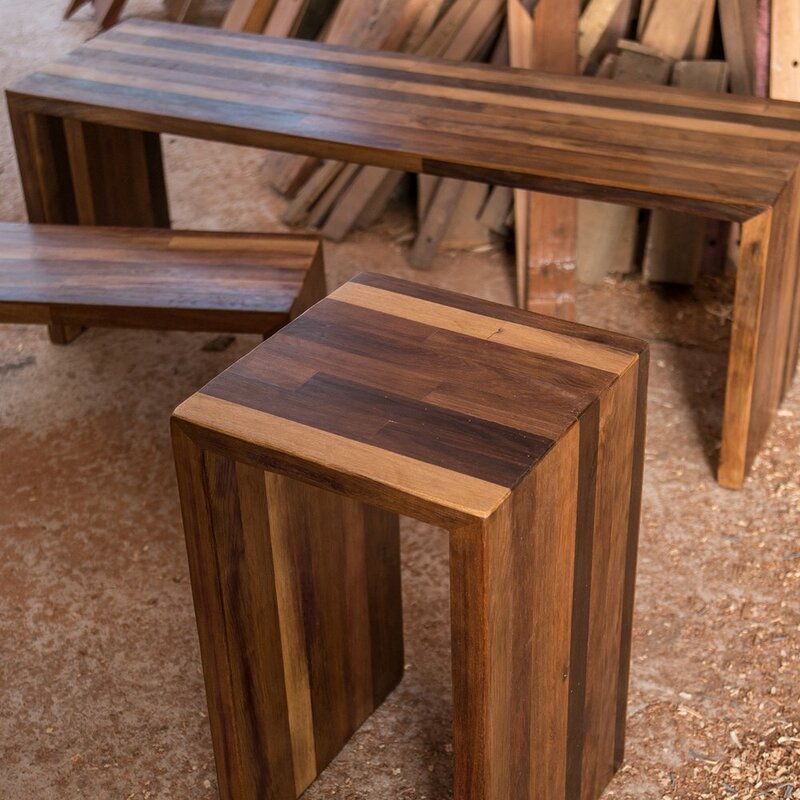 Click here for more information on this incredible handmade furniture. but we've got our hands full with other work. Here's a few quick bites from the shop. Instagram gives a visual history inside our workshop and at our workbenches. 1830's Cabin, Cobb Co Ga.
Purchasing is guided by steps. We offer semi-custom and custom work in commercial furniture and wood finishes. The steps below will guide your customizable project. Each of our 3 product categories employ this approach to help us work together to come up with something cool without re-inventing the wheel each time. Each of our 3 product categories have additional information on your options in the pages linked above. For assistance contact Stephen or Call 678-571-1645 if you have questions.